WebcentrikAV provide a fantastic range of lighting and audio products for dance, aerobic, indoor cycling and zumba studios. Working with fitness professionals and studio managers the perfect ambience will be created for a fitness experiences to remember. 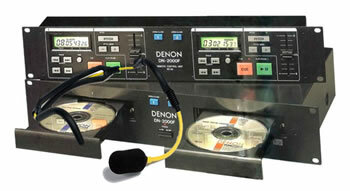 We supply the latest industry standard sound reinforcement equipment. Systems with a full range of power outputs and music sources, with pitch control and ipod/ipad connectivity. Add the screen and projector giving rolling road imagery for spinning style classes. With the ever growing popularity of studio lighting for specialised classes such as indoor cycling and Zumba, we provide customisable lighting schemes for a wide range of classes. Standard and custom lockable sound and vision, wall and free standing flight cases and racking systems to provide a secure centralised location for all your studio equipment. H20, Emic and HSE heavy duty head worn microphones suitable for all fitness classes and events can all be supplied to suit your requirements. WebcentrikAV will ensure your studio audio system works for you and your instructors.